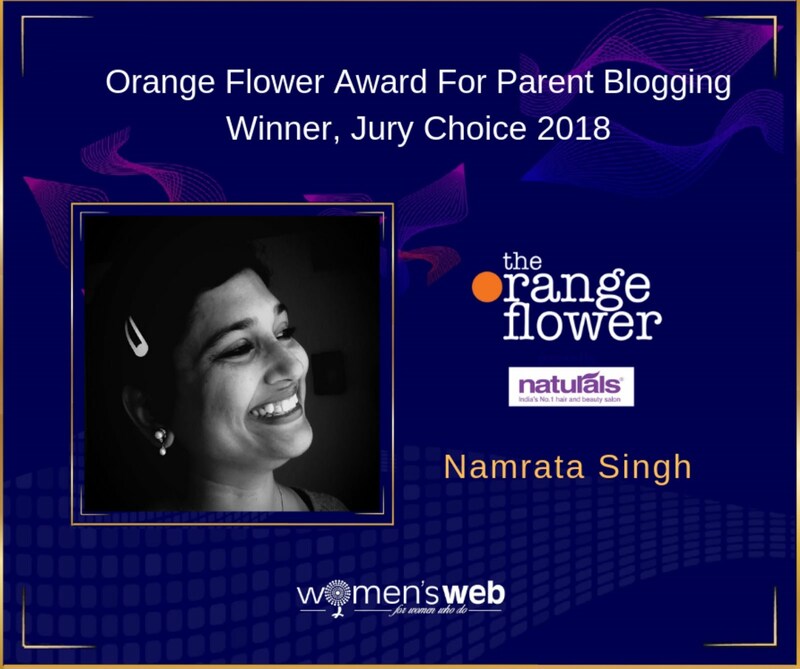 Four Clover Life- By Namrata Singh: Meaningful Parenting- Painting. What does the canvas teach? Meaningful Parenting- Painting. What does the canvas teach? 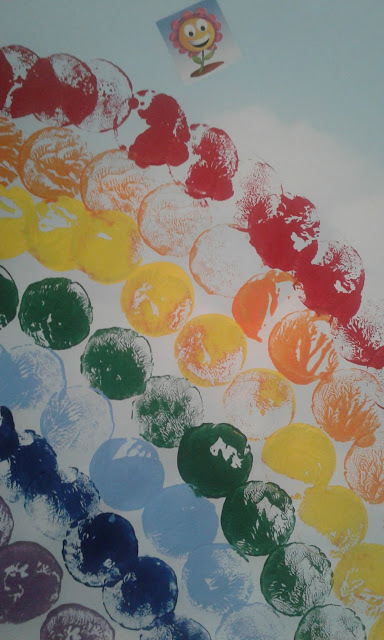 Rainbow- painted with wooden blocks and acrylic paint. To paint is to create a whole new world on a blank sheet. The world which can be as beautiful as you want or as real as you see around. What you paint speaks volume about you. 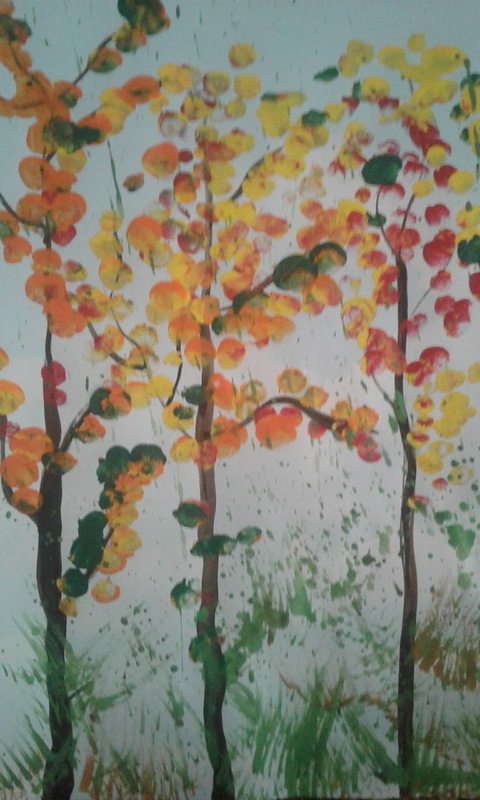 I love painting autumn trees. 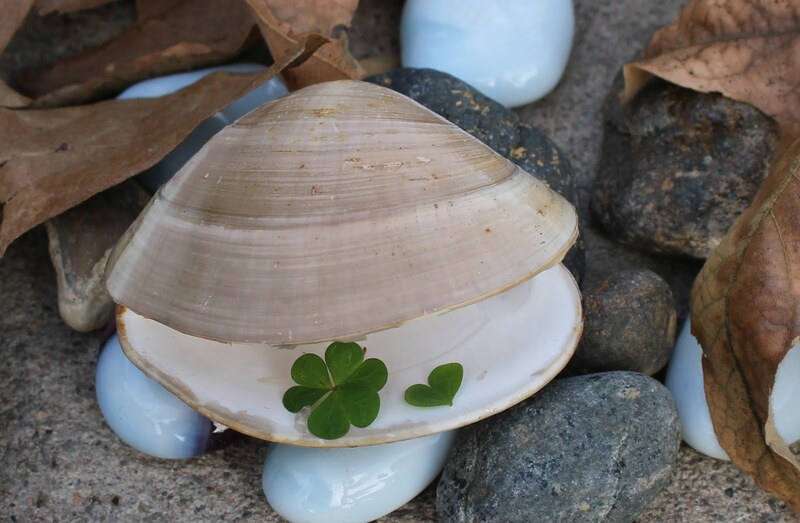 There is some tranquility in knowing that everything comes to an end and fresh beginnings happen. It's calming to know - 'this too shall pass'. The only words which make you smile amidst sorrow and be grounded when riding high on success. The only words capable of keeping the 'honsla'( strength) and 'umeed' (hope) alive, kicking, breathing and thriving. Autumn tree- finger painting with acrylics.